for cities to effortlessly engage with citizens via text messaging. 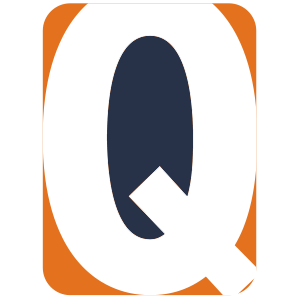 iWorQ is known for its leadership in citizen engagement software with its effective web-based work management solutions. iWorQ has helped thousands of government agencies streamline their workflow processes. Now, iWorQ has taken things to the next level. 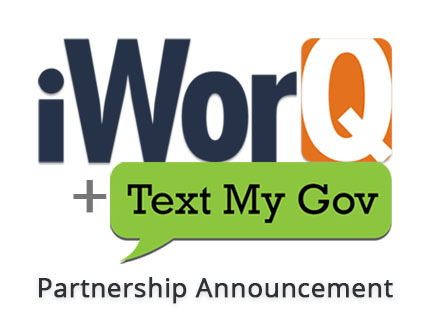 Because texting is the most used and preferred form of communication, iWorQ has teamed up with TextMyGov to enhance citizen to city communication by expanding its reach with SMS text messaging. TextMyGov is smart texting technology which enables anyone to interact with their local government agency via text messaging. TextMyGov uses a mobile phone’s regular messaging service to relay information to a city or county. Citizens can now get answers to questions, report issues, find links on the agency’s website, upload photos, and more. All through text messaging. Local governments spend thousands of dollars on their websites each year to provide resources for their citizens. Integrating TextMyGov's smart texting technology maximizes these resources; boosting citizen engagement and website traffic exponentially. Citizens can text keywords to receive information from the agency's public site. TextMyGov's smart texting technology is self-sufficient and operates 24/7. It enables citizens to connect any time, day or night. The service assures project efficiency, with quick problem resolution and fewer calls. The partnership with TextMyGov is exciting, and the technology will be a huge benefit to cities and counties across the US and Canada. TextMyGov will change the way citizens communicate with local government agencies. Using TextMyGov’s smart technology, citizens can communicate and get answers and information any time of day with a simple text. IWorQ has been providing web-based solutions to local government agencies since 2001. They were the first in the market to provide an entirely web-based solution and is the only company to offer a suite of more than 20 web-based applications in their market. These applications include building permits, planning, zoning, rentals, code enforcement, abatement, work orders, inspections, fleet and fuel tracking, pavement management, stormwater MS4 compliance, stormwater permitting, facility management, and more. iWorQ applications have a responsive interface that is easy to use on any mobile device. Thousands of local government agencies use iWorQ's applications throughout the United States and Canada. iWorQ applications are highly configurable and can be implemented in months, not years like other programs. Agencies can use iWorQ’s technology to integrate with Geographic Information Systems (GIS), take online credit or debit card payments, track citizen request, offer online forms for permits and inspections, and quickly report to FEMA in the case of disasters. TextMyGov was built and developed to open up communication with local agencies and citizens. TextMyGov is simple, no downloads required. Cities and Counties will set up a local phone number that citizens can text for information. With a one-word text, citizens can be sent answers from the city website and receive informative links. They can report service issues, code violations, vandalism and more. Citizens can tap into all the services of a city like permits, licenses and more. All just through texting.